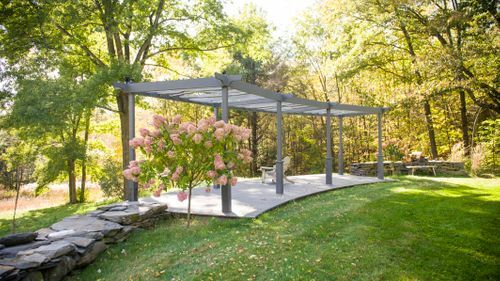 Joined to nearly a one hundred year old boarding school, Berkshire's Terrace offers a true escape into the Berkshire mountains for a couple and their guests. 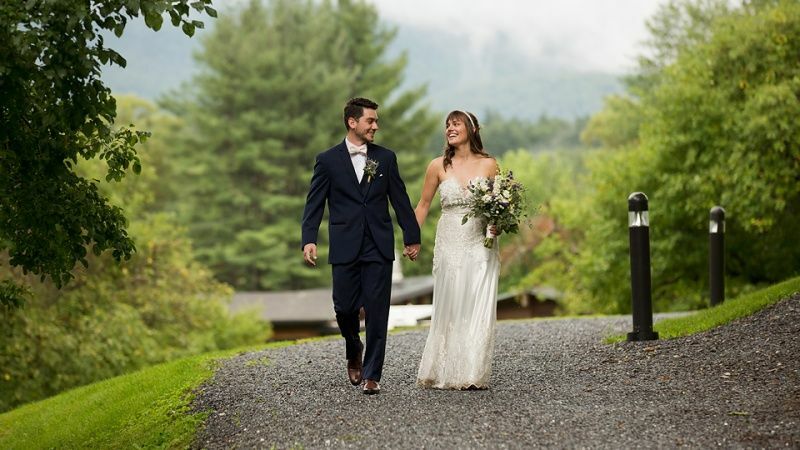 With gravel paths winding through the deep green of the Berkshires forests, the venue brings guests to gorgeous gardens and manicured lawns, buffeted by the tall pines and oaks that rise up into the mountains. 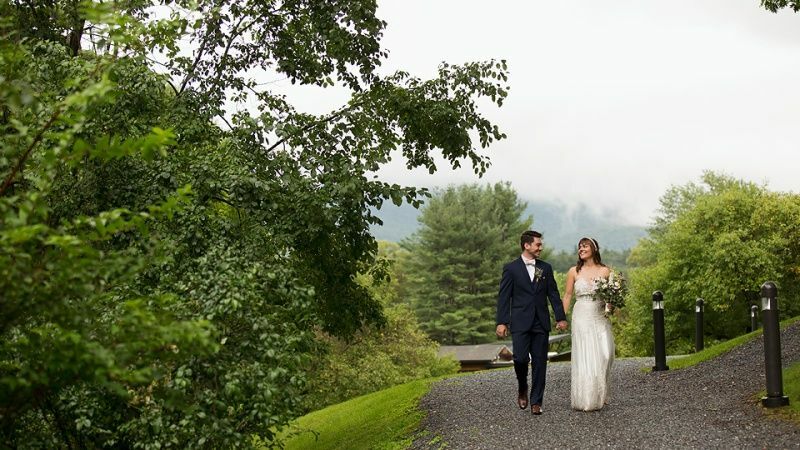 Each space offers couples the chance for elegant and truly tranquil ceremony settings, capturing the mountain vistas or elegant stone wall terraces and gardens. Receptions can be held under the stars in a tent on the main lawn of the largest estate style home on the property. Or if couples would like, you can host your reception inside the expansive dining room of this main home. 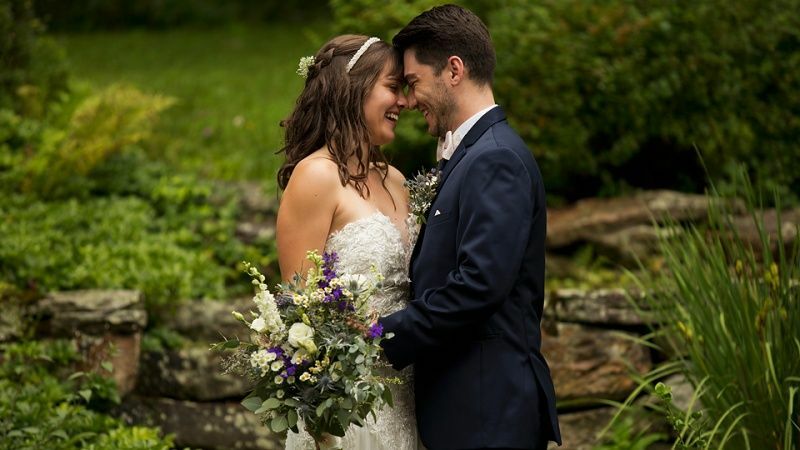 You can combine outdoor ceremonies, garden cocktail hours and indoor or tented receptions however you like to create a wedding weekend experience for your guests that will truly reflect you and your partner. 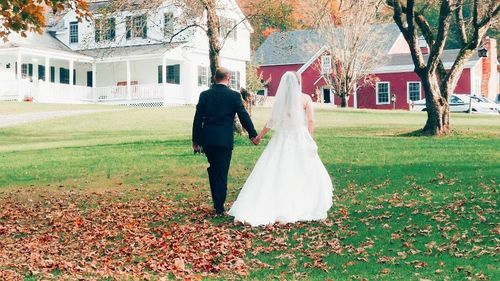 With access to the boarding school's dorms, each with its own unique style, couples can have 90 of their guests spend the wedding weekend with them for just $36/guest for the night. 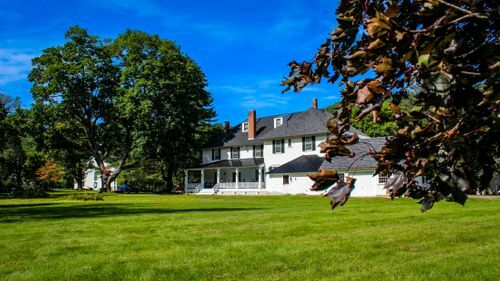 Tucked away in the northern corner of the Berkshires, Buxton is nestled in the northern Berkshire hills, and is a pastoral, 129-acre campus that is secluded, yet within walking distance of downtown Williamstown. 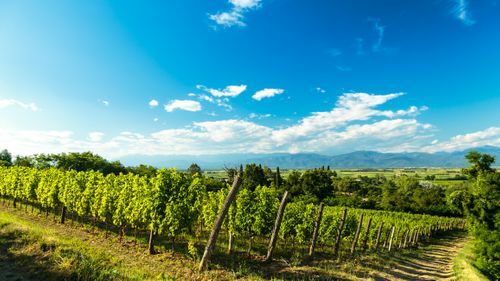 This ease of access to the famous college town means guests will have ample opportunity to visit the quaint coffee shops, art galleries and restaurants throughout the weekend. Tables - Wooden tables available for 100 guests. 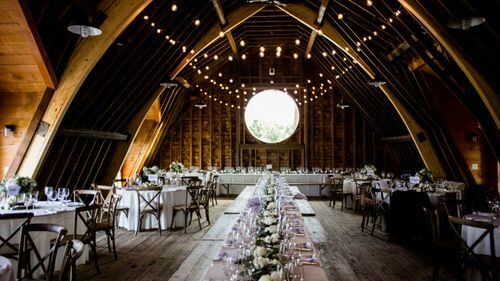 Chairs - Matching wooden chairs available for 100 guests. Changing Rooms - Small apartments can be made available and there are dorm rooms that have private bathrooms. Parking - 200 spaces available. Kitchen - Full commercial kitchen available. Berkshire's Terrace offers dormitory style rooms, some with mountain views. Linens are not included and all beds are twin sized with some bunk beds. Open Flame Policy: No open flames. Decorations: No restrictions, but we reserve the right to deduct any excessive damage from a security deposit.